In order to preserve the lives and property of our fellow citizens and enhance the safety of visitors and travelers, Laramie County Fire District #10 establishes as it's mission the endeavor to acquire and maintain the most adequate equipment and enlist and continuously train our volunteer force to the best of our ability and resources and to maintain and properly utilize public funds to best benefit our population. Where there's fire, there's Laramie County Fire District #10. 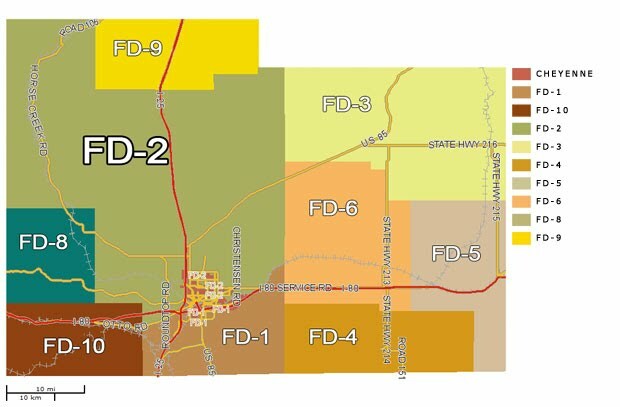 You will find our Fire District to be one of the best in the West. men and women of our community. We serve approximately 168 square miles and over 130 homes and cabins.